He’s also got me beat on global awareness. On Tuesday mornings there could be a hurricane raging in our living room and he’d still notice the first grunt of the trash truck out on the street. I think Jay’s biggest advantage, though, is that he rarely doubts his ability to learn something. Last night after dinner we were playing with Legos and Jay wanted to add a window to a tower he’d built. It was a nimble maneuver—too much for his inexperienced fingers. He had trouble aligning the Legos and a couple times he pushed down too hard. Watching Jay was like watching a dog try to extract kibble from one of those rubber Kongs. After awhile you can’t stand the futility anymore and you just want to do it for him. Jay, though, plugged away and eventually he got it. Later that night after he’d gone to bed I opened a web design program I’d just downloaded. It was more advanced than the software I’m used to and I quickly hit a roadblock. My heart started to beat faster and my body flooded with despair. “I’m never going to get this,” I said, throwing up my hands and snapping my laptop closed. Then I realized that regardless of how he chooses to eat his soup, that’s something Jay would never say. 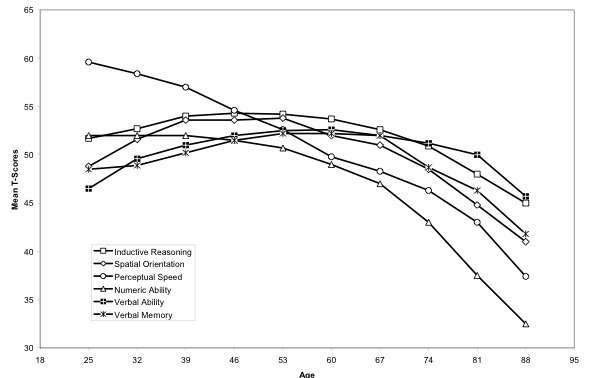 This entry was posted in Quick Hits and tagged Angela Duckworth, cognitive skills decline, different cognitive skills, parents smarter than kids by Kevin Hartnett. Bookmark the permalink.